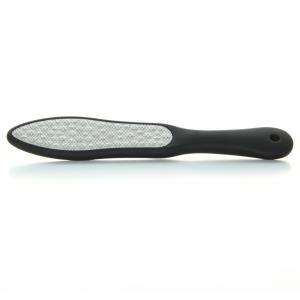 Black handled 'cheese grater' type foot file for tough calloused feet. Works great with or without water. 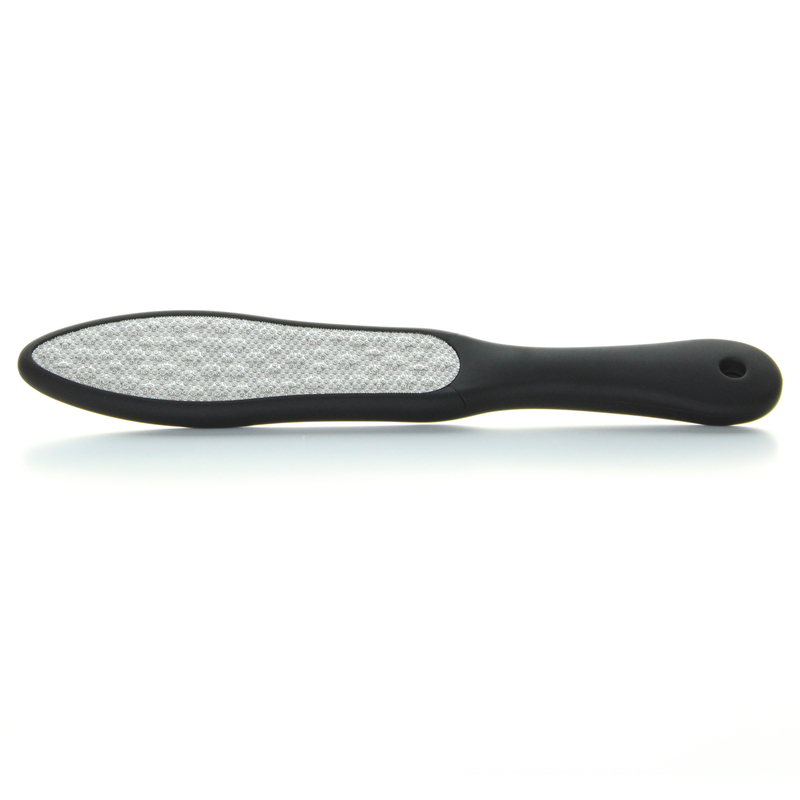 One side is coarse for tough callous while the other is finer for smooting feet. 10.5" long and 2" wide and 1/2" thick. Easy to grip. Imported.